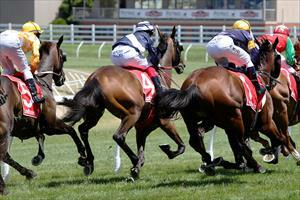 Zume Forward is the stable runner on Friday when she is under the lights at Cranbourne. Zume Forward runs in race two, the 3YO Fillies Maiden Plate over 1400m where she will be ridden by Patrick Moloney and jump from barrier seven after scratchings. The daughter of Charge Forward stayed on well to finish fourth over 1200m at Terang at her last start and Mike Moroney is anticipating the extra distance tonight will suit. “I’ve been pleased with the way she has worked since her last run and feel she will be better suited with the step up in distance,” Moroney said. “She is fitter now after two runs this time in and I’m expecting a better run. On her work she is a chance in what looks an even race."